"What Nobody Ever Tells You About Google Adwords." The 7 Most Important Things an Acupuncturist Needs to Know Before Spending a Dime on Google Adwords. Download The FREE Report Today! 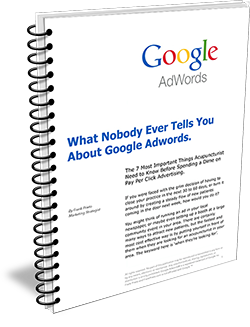 Enter your name and email below to download the Special Report titled: "What Nobody Ever Tells You About Google Adwords," and start generating new patient leads as quickly as next week!